We started our first day of classes today. My first class was with Professor Prevost, a history class entitled Cultures of Empire. It seems like it will be a really engaging and interesting class. It is designed so we have to venture all over London and immerse ourselves in the historical sites we are reading about. Tomorrow we have to visit the Bank Junction (an area where seven major roads converge, and also the site of the Mayor of London's home) on our own, and then write a 1-2 page response to some discussion-provoking questions about it. I am getting really excited, and can't wait to dive into this class head first. In any case, post-class, we were really hungry and wanting a good lunch. 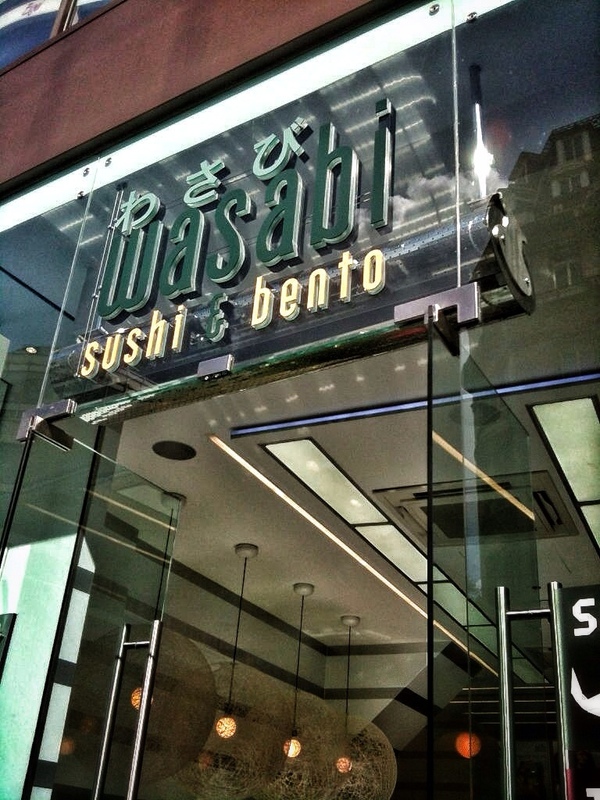 I had seen a variety of interesting and inexpensive places for lunch on Holborn Street on my way home the other day, so Claire, Hannah, and I headed that direction in search of nourishment. We found it in the delightful sushi from a small, clean place called Wasabi. I had seen this chain and was impressed by how orderly and beautiful and inexpensive their food options were. 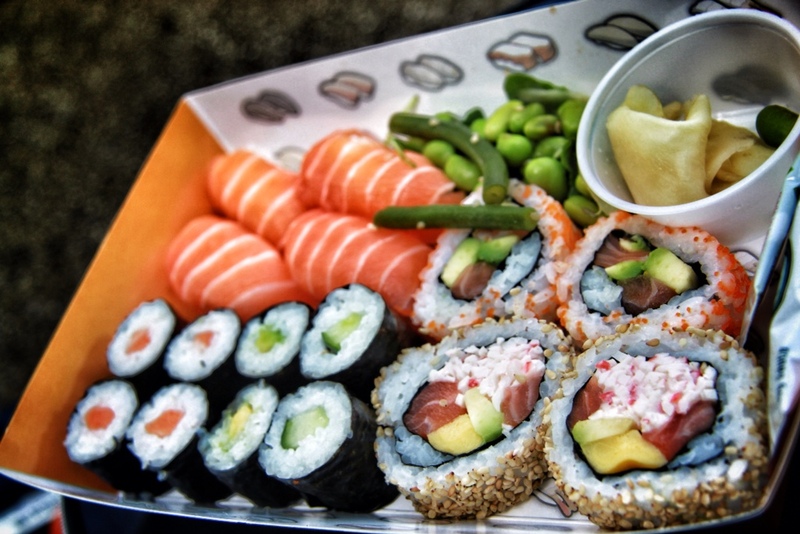 Trays of sushi lined a wall cooler, and individual pieces could be bought for two pieces for £1. I went for a combo plate, the better value, and was excited to dig in! I had to wait a few minutes to dig into my sushi, as we decided to save money by taking the food to go (or takeaway, as it's called here) because many places charge more to eat in, as that uses space. 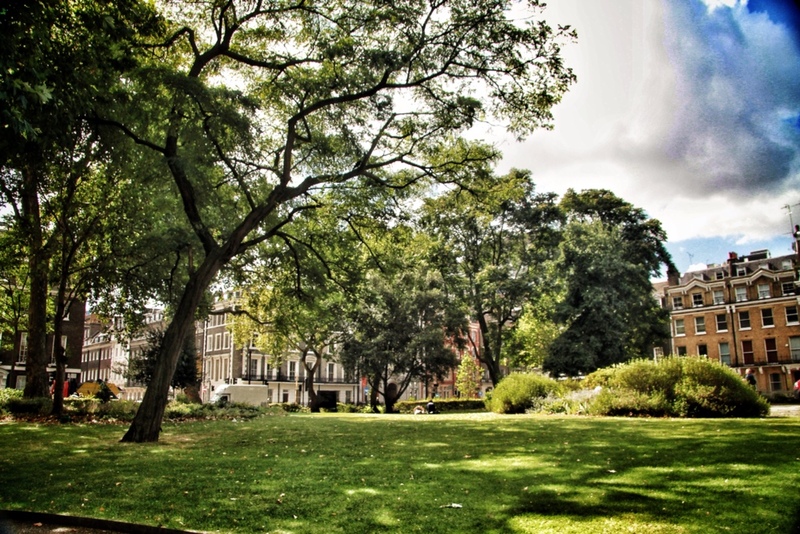 We ventured over to the nearby Bloomsbury Square, a nice patch of green grass, gardens, and benches, a perfect spot for lunch. There was a cool breeze and warm sunlight, giving our little park bench some great lunchtime atmosphere. The sushi, once we finally dug in, was phenomenal! It was outrageously fresh and absurdly delicious. I had been expecting decent, but distinctly packaged sushi, but this was amazingly good. It was all tightly packed by an obviously practiced hand, and had perfect proportions. It was beautifully organized and accompanied by a delicious edamame salad. 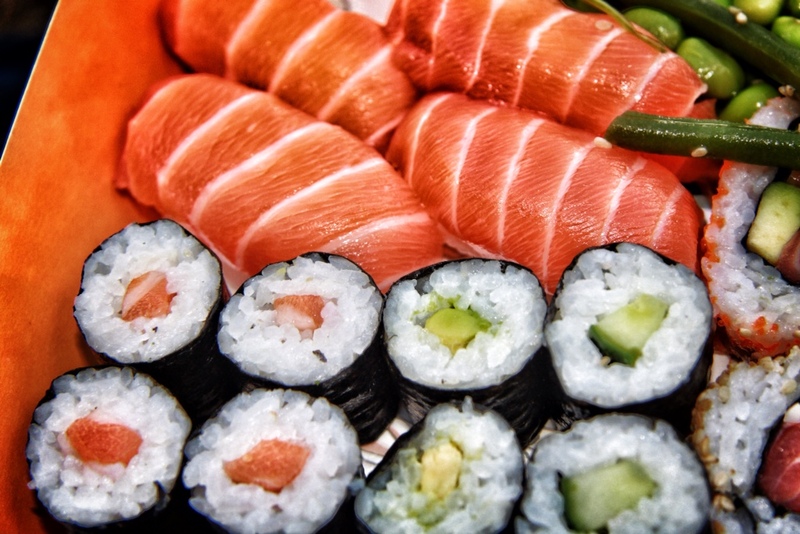 The thing that stood out the most though, was the tantalizing texture of the sushi, the rice, seaweed, and fish all stood distinctly apart. No sushi I have had in Iowa can even compare. 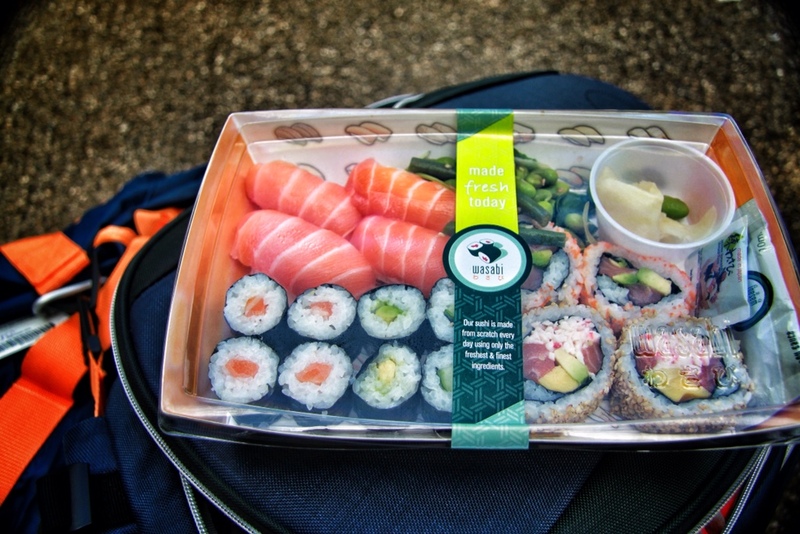 The cool breeze, the superb sushi, and the feeling of accomplishment that came from completing my first class in London made this a supremely satisfying meal.